This book deals with brutality on many levels. 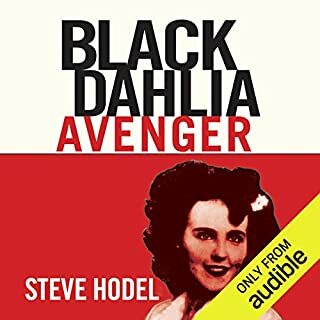 Anyone who is interested in the Black Dahlia case must read this book -whether you ultimately agree with Steve Hodel's assertions or not. He presents the history, the evidence, witness statements, press reports, and other elements in a compelling, organized way. The book is also extremely sad. So many lives were ended, forever changed, deeply wounded and scarred by these events . I cannot imagine the massive tangle of emotions Steve Hodel must feel thinkng about and writing about these things. He should be acknowledged and supported for his valiant efforts to get at and bring forth the entire truth for the sake of Justice. He was willing to find and report the facts - no matter where they led - up to and including his own family. This book is not for the faint of heart, and it is not for anyone bothered by forensics or graphic details. This book is a must-read for anyone interested in this case and in the checkered history of Los Angeles. The performance by Kevin Pierce is solid. It would have been excellent if Mr. Pierce had been provided with some of the location names written out phonetically - I almost missed the meaning a few times from off base pronunciations of typically Angelean locales (Sepulveda, Vallejo, etc.). Overall, this is an excellent, painful book with a heartfelt search for the whole truth and for Justice at its very core. This is a sweet, simple story that contains some complicated elements. I cared about the characters a lot and I wanted to find out what would happen next. The performance was adequate - some odd acting and pronunciation choices , though. Overall, this was a good experience. A brief, poignant trip worth taking. Added Bonus: After experiencing this book, I have a new love and appreciation of Haiku. Up until now, Haiku was something that I was required to 'come up with' in school. I did not enjoy it or appreciate it at all. I do now and I credit the author, Hiromi Kawakami for changing my heart and changing my mind. Extraordinary! This is the perfect book for coping with the complexities of modern life. The performances are great and the storytelling is amazing. I would write more, but I don't want to give anything away. I would recommend this book to anyone who is frustrated by today's world events and political climate. 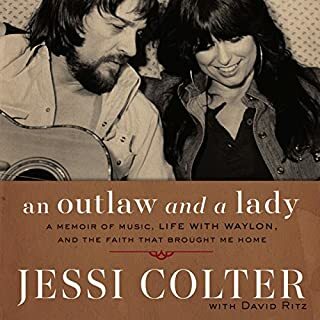 The daughter of a Pentecostal evangelist and a race-car driver, Jessi Colter played piano and sang in church before leaving Arizona to tour with rock n' roll pioneer Duane Eddy, whom she married. Colter became a successful recording artist, appearing on American Bandstand and befriending stars such as the the Everly Brothers and Chet Atkins while her songs were recorded by Nancy Sinatra, Dottie West, and others. Her marriage to Eddy didn't last, however, and in 1969 she married the electrifying Waylon Jennings. I bought the hardback edition of this book in the bargain section of the legendary independent bookstore Small World Books in Venice, California. I was interested in it because it was a sort of tabloid story that I had always wondered about. It has some . great photos and I am happy that I own it. The writing took me in right away. The intelligence and soulfulness of the writing come through to me right away. 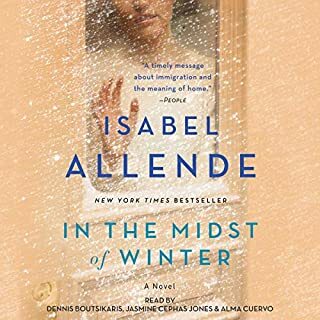 Three chapters in, I decided I NEEDED to have the Audible version! This is not a tabloid story or a story about fame and celebrity. This is the story of a spiritual journey and an illustration of the responsibilities, challenges, hardships, and rewards of true commitment. It is a wonderful side bonus that this journey includes tons of fascinating, famous people. I would recommend this book to anyone who is on a spiritual path and needs reassurance that even the most talented and successful among us experience doubt, confusion, and loss. I liked the Audible production. The performance by Devon O'Day is solid, but I thought it was an odd choice to hire a narrator instead of having Jessi read it herself. She has a beautiful singing voice - I would imagine her speaking voice is fine, too. At times, she does get a little preachy but most importantly, she seems to keep everything in perspective. I would recommend this book to fans of Waylon and Jessi who are also religious. This is a very detailed and fascinating book. I chose the audio book. The performance was wonderful. I do plan to buy the hard copy though, because it has photos of the places. 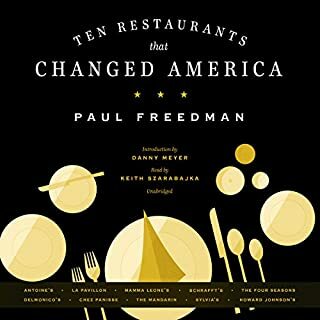 Readers need to keep in mind that this is the story of ten restaurants that changed America- it is not a top ten type of book. I enjoyed the way the author weaves history, popular culture, and food together. I also like the way the book is organized - impatient readers can pick and choose which restaurants they want to read about. I enjoyed the whole thing and I enjoyed learning about them all and many other restaurants and influences, as well. I would recommend this book . to fans of history, popular culture, travel, and fine dining. Night Film is an intense, richly detailed book. The storytelling style is a potent mixture of Noir, Magical Realism, and many very dark elements. Jake Weber's performance is outstanding. Still reeling from the experience of this work, I am not sure how I feel about it or whether or not I would recommend it. This book is confrontational and definitely not for the faint of heart. The writing is very detailed and the story is very intricate. 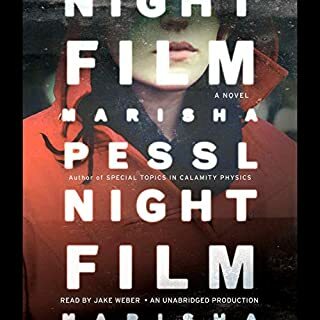 Marisha Pessl is a supremely talented writer. However, my sense of this is that she might've outsmarted herself in this case. Night Film might be too smart for its own good - leaving this reader less moved than I might've otherwise been. 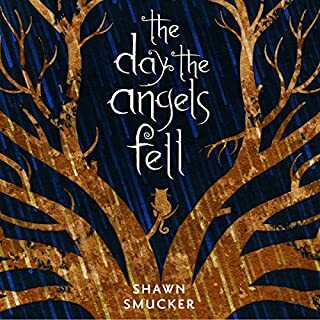 Compelling mixture of the supernatural and the mundane...The Day the Angels Fell is a wild and beautiful read. For anyone who has struggled with their wishes, feelings, and dreams after suffering a loss-it is very thought-provoking. This book also contains bits and pieces of the history behind myths, legends, and strongly held beliefs. 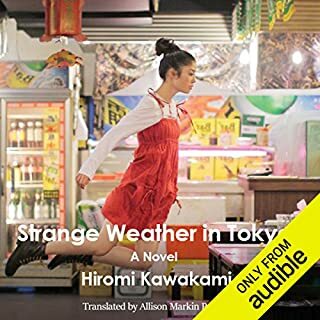 I chose the audible version and Adam Verner's performance is very strong. He does a great job portraying all of the characters in a way that is very relatable and recognizable. I would recommend this book to anyone who has experienced feelings of loss, pain, or guilt...almost everyone. Beautiful story illustrating the way one life touches many others. Anyone who loves and appreciates cats and Japanese culture would probably like this book. 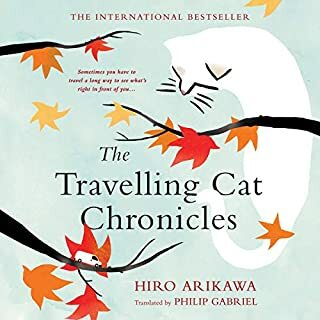 I really appreciated that the narration is partly from the cat's point of view. The Marriage of Opposites is outstanding in every way. 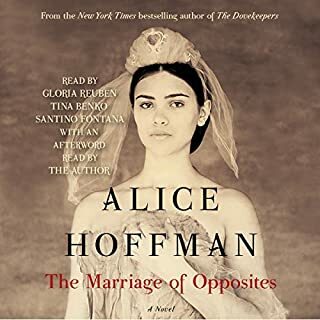 Alice Hoffman expertly weaves history, fact, fiction, legend, religious beliefs, superstition, and social commentary. The performances are top notch. I cannot recommend this work highly enough. Come sit on the veranda and pour yourself a glass of sweet tea, fortified with a slug of bourbon. 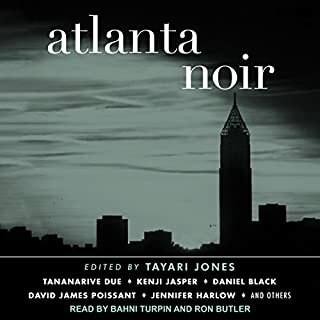 Put your feet up and enjoy these stories set in Atlanta, a city sewn from the ashes, where everything that grows is both fertilized and corrupted by the past.